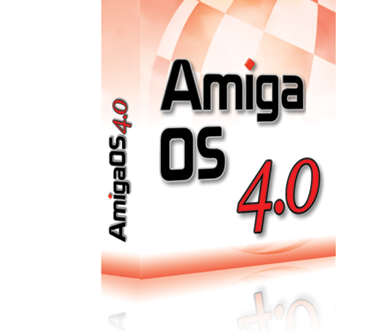 Amiga OS4.0 for classic Amigas is compatible with all Amiga 3000(T) or Amiga 4000(T) equipped with a Cyberstorm PPC card and with all Amiga 1200 equipped with a Blizzard PPC card. Here follows the compatibility list, please note that this list will be improved further. Please note that the hardware not listed here is actually untested. Betatesters are working to increase the number of tested hardware. Please check those pages frequently to see latest addition. Last update: 22 december 2009. Cybervision 64/3D All systems YES On Amiga 1200 it requires a Zorro II slot, tested with RBM Onboard 1200 EX. Picasso IV ZorroII/III YES May have problems with apps that require overlay. Voodoo 4 PCI A4000/Mediator YES Full 32MB of graphics RAM is recognized. FastATA 1200 MK-III A1200 YES AllowBasePageAccess required, CDFS might need a own Dosdriver when the Fastata driver is used. Buddha Pheonix Edition Zorro IDE Interface A1200 - Micronik Zorro II YES Hard disk can be moved to this when installed, however Hardware hangs if an x-surf 3CC is present and x-surf.device is opened by roadshow. Happens under 3.X too with miami. Zorro card Problem or Micronik Z2 Problem. PCI SCSI cards Mediator 1200 NO A1200 turbo cards do not allow DMA to their memory from the CPU expansion slot. PCI 3Com ethernet card Prometheus/Mediator NO A1200 turbo cards do not allow DMA to their memory from the CPU expansion slot. DMA from Mediator to A4000 memory cannot be used with current PPC hardware. Realtek RTL8139 PCI Mediator 4000 NO DMA from Mediator to A4000 memory cannot be used with current PPC hardware. Romulus for HIGHWAY A4000 NO Must be turned off using the right/left mouse buttons or Highway won't work. Check out your Luciferin config. USB PCI OHCI card Prometheus/Mediator NO A1200 turbo cards do not allow DMA to their memory from the CPU expansion slot. DMA from Mediator to A4000 memory cannot be used with current PPC hardware. USB PCI UHCI card Prometheus/Mediator NO A1200 turbo cards do not allow DMA to their memory from the CPU expansion slot. DMA from Mediator to A4000 memory cannot be used with current PPC hardware. Concierto IV all systems YES On Amiga 1200 it requires a Zorro II slot. Toccata v1.0 A3000 YES AHI Requires Toccata.library v12 on aminet and Toccata software. Most PCI sound cards Mediator 1200 NO A1200 turbo cards do not allow DMA to their memory from the CPU expansion slot.